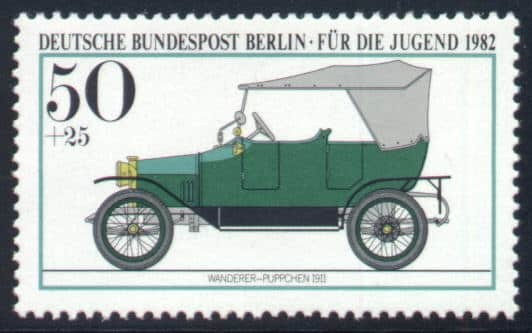 The first Horch automobile was produced in 1901 in Zwickau, in former East Germany. In 1910, Horch was forced out of the company he had founded. He then started a new company in Zwickau and continued using the Horch brand. His former partners sued him for trademark infringement and a German court determined that the Horch brand belonged to his former company. August Horch was forced to refrain from using his own family name in his new car business. As the word “Horch!” translates to “listen!” in German, August Horch settled on the Latin equivalent of his name – “Audi!”. It is also popularly believed that Audi is an acronym which stands for “Auto Union Deutschland Ingolstadt”. Audi produces over 2 million vehicles annually at its main production site in Ingolstadt. Audi has another production plant in Neckarsulm. Audi started with a 2612 cc model followed by a four-cylinder model with 3564 cc, as well as 4680 cc and 5720 cc models. These cars were successful even in sporting events. 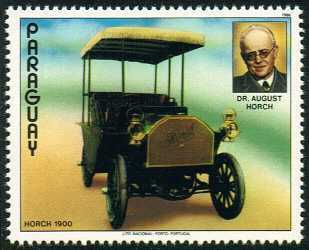 August Horch left the Audi company in 1920. The first six-cylinder model (4655 cc) appeared in 1924. In 1928, the company was acquired by J S Rasmussen, owner of DKW, who bought the same year the remains of the US automobile manufacturer, Rickenbacker including the manufacturing equipment for eight-cylinder engines. These engines were used in Audi Zwickau and Audi Dresden models that were launched in 1929. At the same time, six cylinders and a small four-cylinder (licensed from Peugeot) models were manufactured. Audi cars of that era were luxurious cars equipped with special bodywork. In 1932 Audi merged with Horch, DKW and Wanderer to form the Auto Union. Before World War II, Auto Union used the four interlinked rings that make up the Audi badge today, representing these four brands. This badge was used, however, only on Auto Union racing cars in that period while the member companies used their own names and emblems. The technological development became more and more concentrated and some Audi models were propelled by Horch or Wanderer built engines. Auto Union plants were heavily bombed and partly destroyed during World War II. After the war, Zwickau soon became part of the German Democratic Republic and Audi headquarters were moved to Ingolstadt. 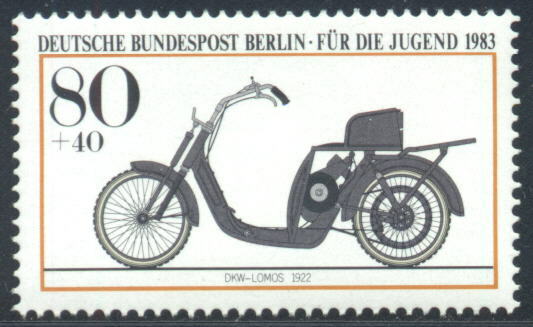 In that period, the four interlinked rings were used together with the DKW badge. The company focused efforts on the DKW brand, but their two-stroke engines became unpopular. In 1958, Daimler-Benz acquired 88 percent of Auto Union and the next year became its sole owner. 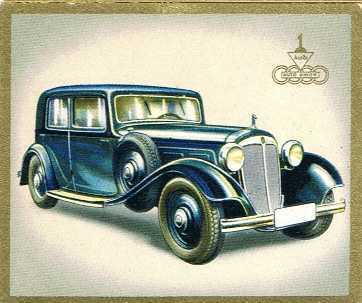 Daimler-Benz developed a 72 hp (54 kW) four-door sedan, with a modern four-stroke engine driving the front wheels. This model appeared in September 1965, “relaunching” the Audi brand. Daimler-Benz sold the company to Volkswagen in 1964; subsequently, Volkswagen’s purchase of Auto Union has led to the modernization of VW to which it gained expertise in manufacturing water-cooled vehicles. Today, air-cooled powerplants once produced by VW are no longer placed into production vehicles since December 23, 2005. In 1969, Audi merged with NSU, based in Neckarsulm near Stuttgart. In the 1950s NSU had been the world’s largest manufacturer of motorcycles but had moved on to produce small cars like the NSU Prinz (the TT and TTS versions are still popular as vintage race cars). NSU then focused on new rotary engines according to the ideas of Felix Wankel. In 1967, the new NSU Ro 80 was a space-age car well ahead of its time in technical details such as aerodynamics, light weight, safety, et cetera, but teething problems with the rotary engines put an end to the independence of NSU. Presently several lines of Audi cars are produced in Neckarsulm. Servicing Audi since 1999, we are a Audi Mechanic and Audi Specialist, located in Perth, Western Australia.